If you’re not sold on raised beds, check out our previous post on some of the benefits of raised bed gardening. Already convinced? 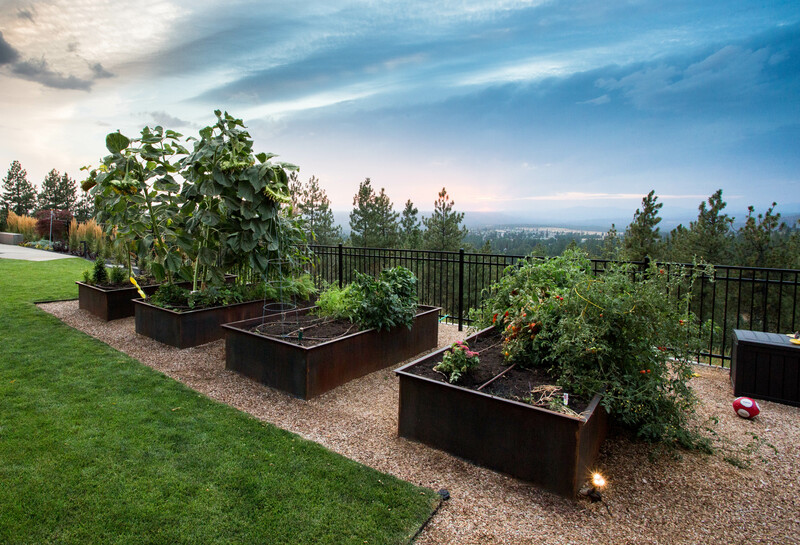 Read on for some of the details of incorporating raised beds into your landscape design. Where to put your beds? Finding the right location is the first and most important step in building raised garden beds. You’ll want to give your beds plenty of sun, especially if growing edibles. A plant that needs “full sun” needs at least six hours of direct sunlight a day. During summer in the Spokane/Coeur D’Alene, that’s not too hard to achieve. We get around sixteen hours of daylight on the summer solstice, and the summer sun is at a high angle that doesn’t cast many shadows in the middle of the day. 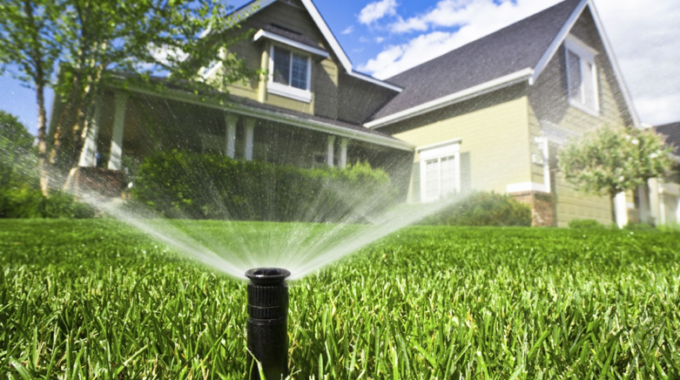 At the beginning and end of the growing season, however, days are shorter and the sun is lower in the sky, meaning more shade across your yard. To take advantage of the whole season, southern exposure is necessary to ensure your plants are getting their full day of sun. Beyond solar access, you’ll want to consider how you (and others) will interact with your raised beds when you consider their location. Where will your water be coming from? 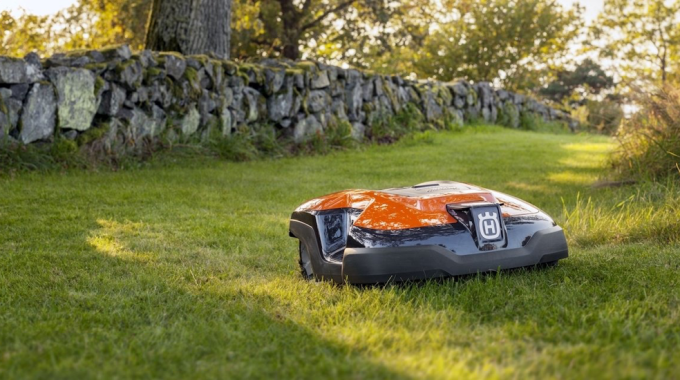 Will you struggle to bring supplies from the garage, or harvests to the kitchen? Do you need an area that you can fence off from deer? Even the most optimally sited raised beds need human intervention, and you don’t want to set yourself up for failure by locating your beds somewhere that makes tending them difficult. What materials should you use for your raised bed? While raised beds can be built out of almost anything, there are a few important things to consider. The first is safety. If you’re using your raised beds for food production, it’s important to avoid products that could leach dangerous materials into your soil, where they can then be taken up by growing plants. One concern that you may hear regards the use of pressure-treated lumber. Prior to 2003, pressure-treated lumber used an arsenic compound (chromated copper arsenate, or CCA) that was found to travel a short distance into the soil immediately surrounding the wood. While arsenic was never shown to be absorbed into plants in dangerous levels, the industry nonetheless changed their formulas to allay consumer concerns. Pressure-treated lumber that is available to the general consumer is no longer treated with CCA and is safe to use for raised garden bed construction. Upcycling used materials, such as tires, pallets, or cinder blocks, is a popular and sustainable way to build raised beds, but it’s important to consider the previous use of your materials. Reclaimed industrial materials have often been exposed to all kinds of pollutants in the course of their life, intentionally or otherwise. Although it is scheduled to be eliminated in 2017, the potent pesticide methyl bromide is still used to fumigate many wood pallets. And damaged materials can also pose additional hazards. Intact tires are fairly inert, for example, but once they start degrading, they can leach toxic compounds. Make sure any materials you reuse are clean and undamaged, especially if you’re planning to grow food in your raised beds. Beyond safety concerns, material choice will also have a big impact on the price and durability of your beds. Wooden raised beds are affordable and easy to DIY, but will degrade as they are exposed to the moisture of a raised bed. Metal raised bed, on the other hand, will have a long lifespan with little maintenance, but will be more costly and require the expertise of a metal fabricator. How big should a raised bed be? There is no right or wrong size for a raised bed–it all depends on what works for the site and what works for you. Taller raised beds are easier to access, which is important for those with limited mobility. They also hold more soil, which can be helpful for growing root vegetables like carrots and sweet potatoes. Lower beds, on the other hand, have less visual presence, which may be better in a small space. Raised beds can also be as long or wide as you want, but you’ll want to make sure you can easily reach the center of the bed, as well as maintaining access between and around your beds. Dimensions that work for a six-foot-tall gardener might be uncomfortable for a shorter person, so take the opportunity to personalize your raised beds for your needs. Contact us with any questions or if you want to start a raised bed project. Once you’ve added your own raised garden beds to your yard, you’re on your way to a productive landscape! 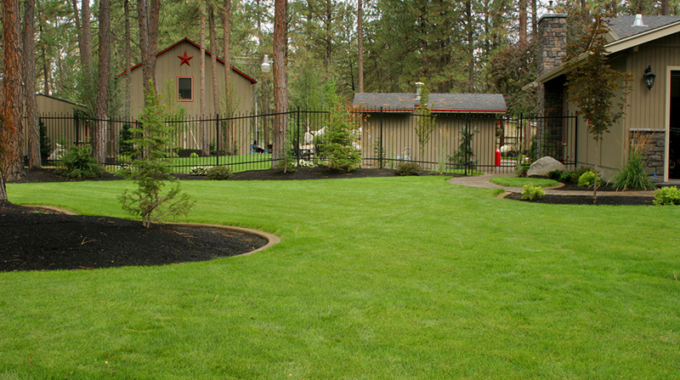 I recently moved to Coeur D’Alene and I am interested in building some raised garden beds on my sloped yard space. Would need to be able to get to them as well as prevent the deer from eating my produce. Do you have any pictures of examples of raised garden beds on slopes. Also, do you provide no charge estimates if I choose to hire someone to complete for me?